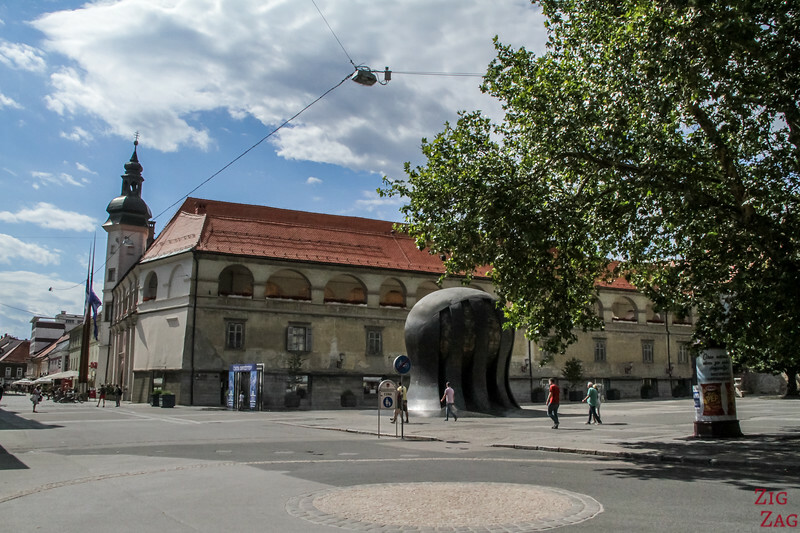 Let's discover the top things to do in Maribor Slovenia, the second largest city in the country. 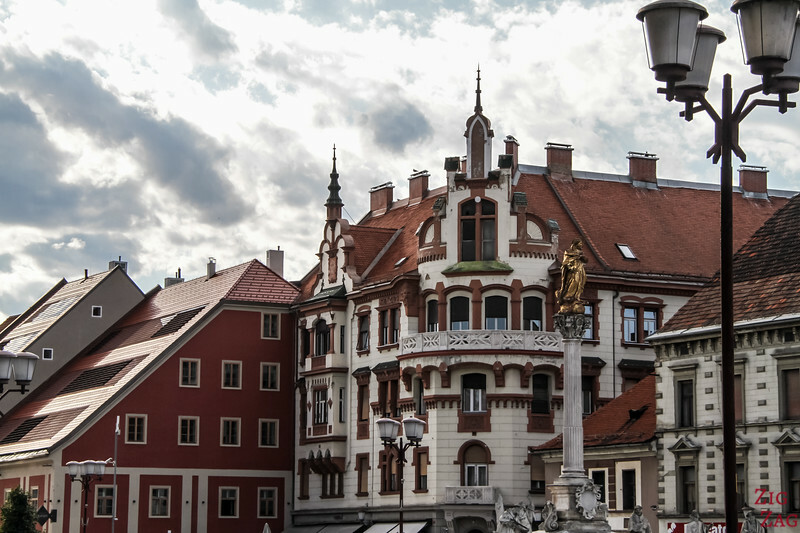 Very different from Ljubljana, Maribor is worth getting over the first impression and exploring to discover its rich history, beautiful buildings and charming surrounding hills. 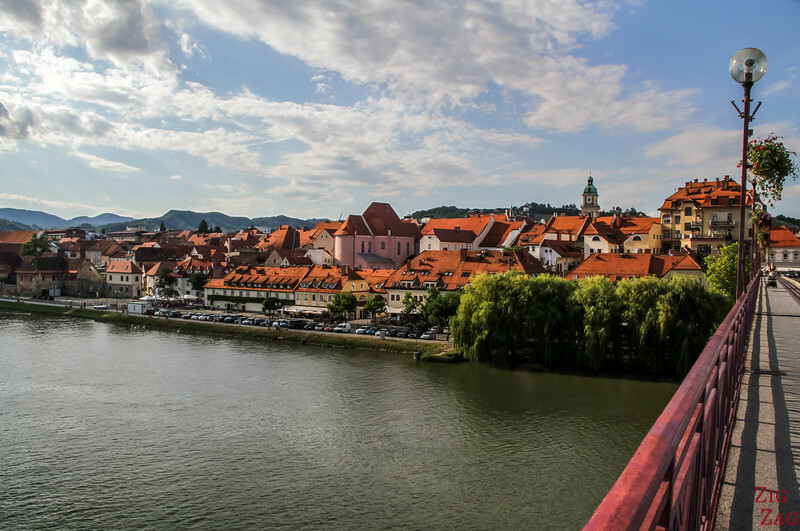 Below is your guide to plan your visit to Maribor. 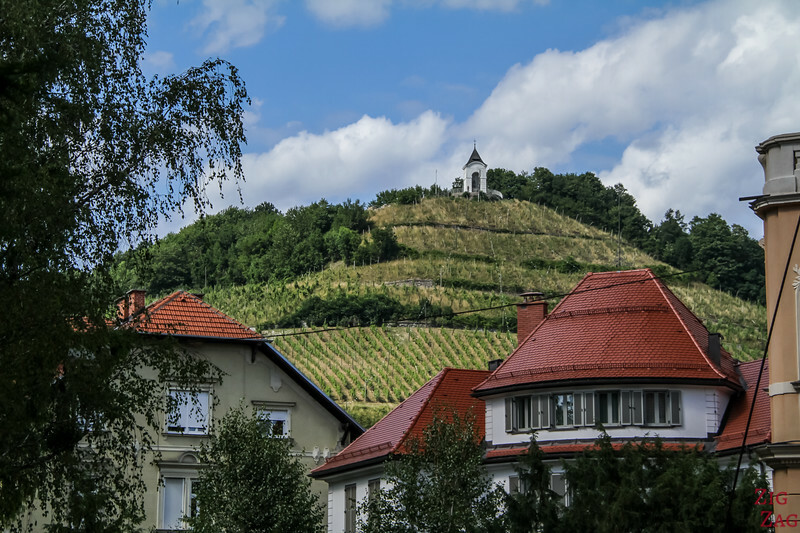 Let's start with a short video to show you what a visit to Maribor looks like: river, old vine, churches and the views from Pyramid Hill! More about these activities and other (with photos) after the practical information. 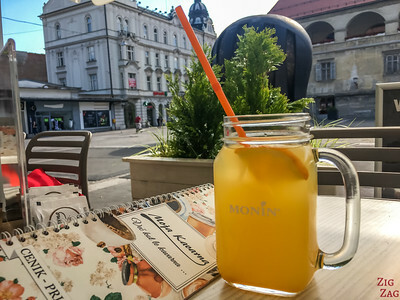 The Things to do in Maribor, along with many other beautiful places, are included in my eBook: The Road Trip Guide-Slovenia. 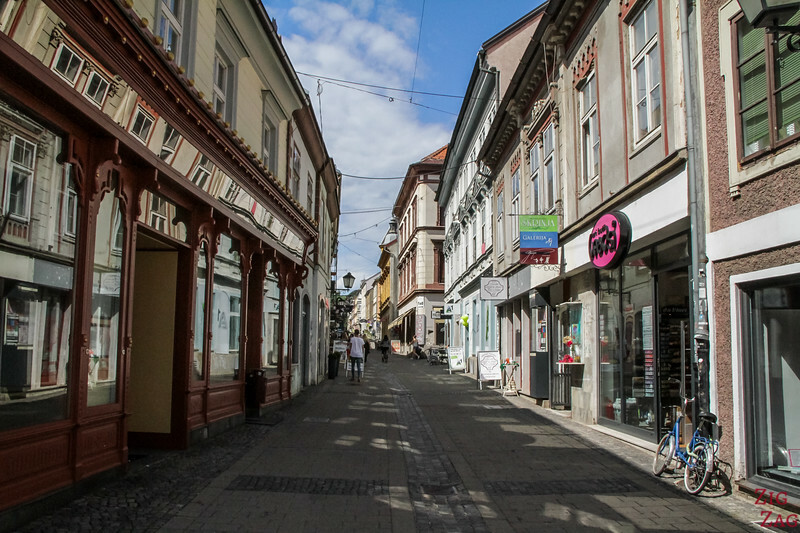 The best way to explore Maribor is by walking, especially with several pedestrian only areas. This way you can admire the many remnants of old houses and the square setting of the town. Another option is to take the touristic train that departs near the visitor center. Sadly there were no explanation given, but it is a nice way to get an overview of the city. So my favorite thing to do in Maribor was to climb to the top of Piramida Hill. It is one of the 2 hills in the town. It is quite a hike especially when the sun is shinning brightly. I recommend doing the walk in the morning or late afternoon, because for most of it, there is no shade at all. In the photo below you can see the top of the hill from the city. The hike from the visitor center to the top and return takes 1h15 if walking slowly. 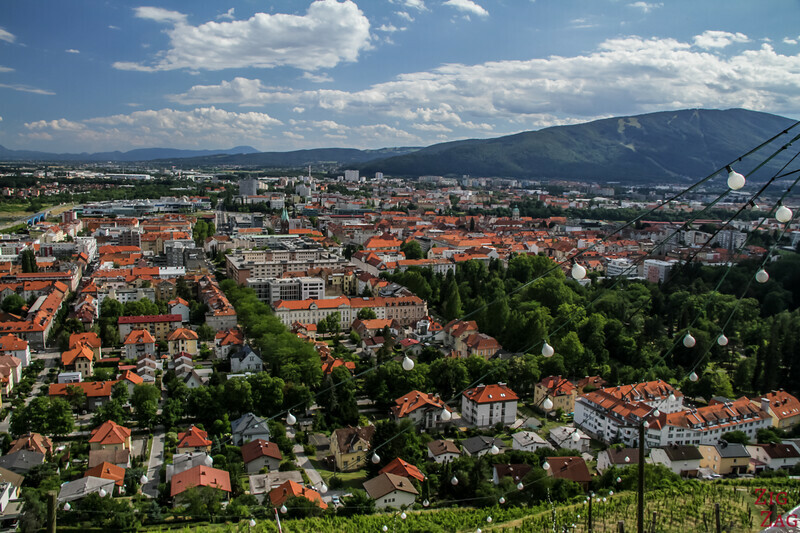 At the top you can find the ruins of the old castle, a chapel from the 19th century, a bar open in Summer and this amazing views of Maribor and of the region. 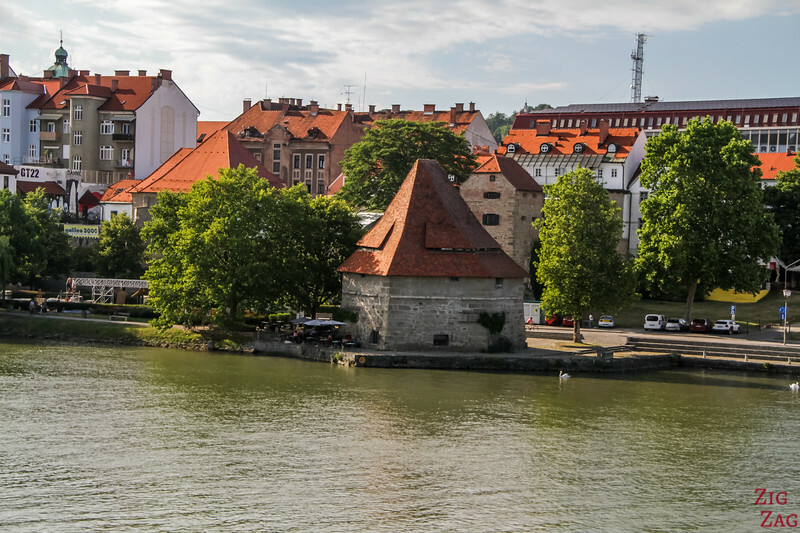 The Maribor castle was originally built in the 15th century but was modified and restored many times since. It is not as impressive as other castles in Slovenia. 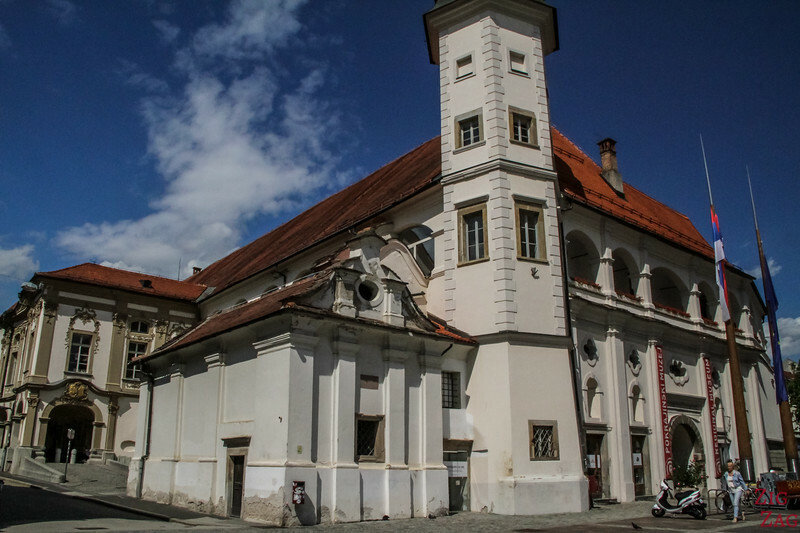 Inside the castle is the Regional Museum of Maribor with many artefacts from the ancient city and the region. Different rooms offer different decors with paintings, oval ceilings, statues and staircases... It is like a small city inside the city. 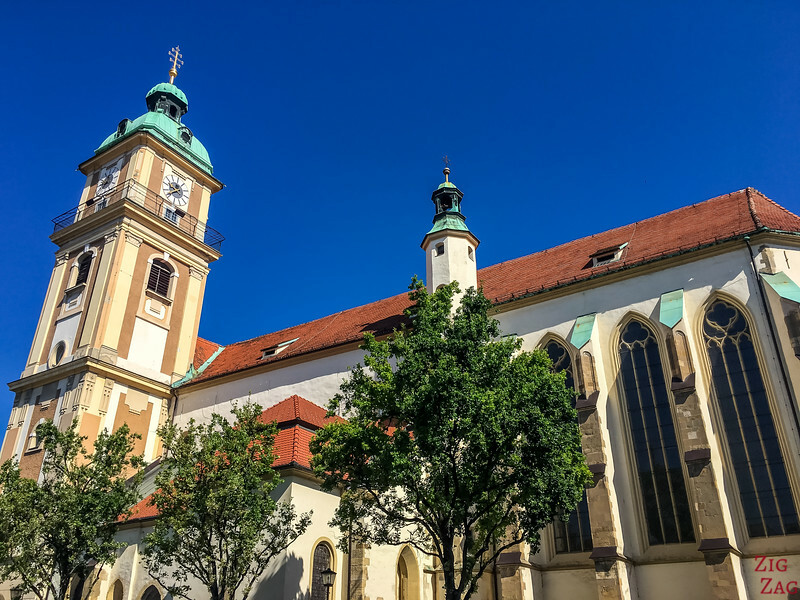 The Maribor Cathedral is dedicated to Saint John the Baptist. 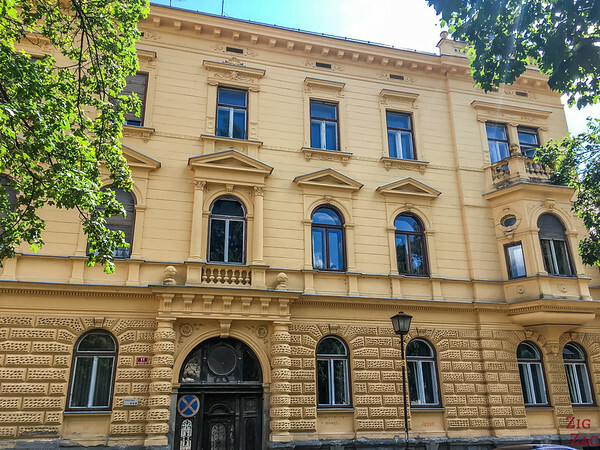 It is located on Slomškov Square. It is a Romanesque building from the 12th century. The decor is austere without many paintings and ornaments. It has a very classic shape. The 57m high Bell tower is from the 18th century. You can climb it during certain hours and on certain days (check here). 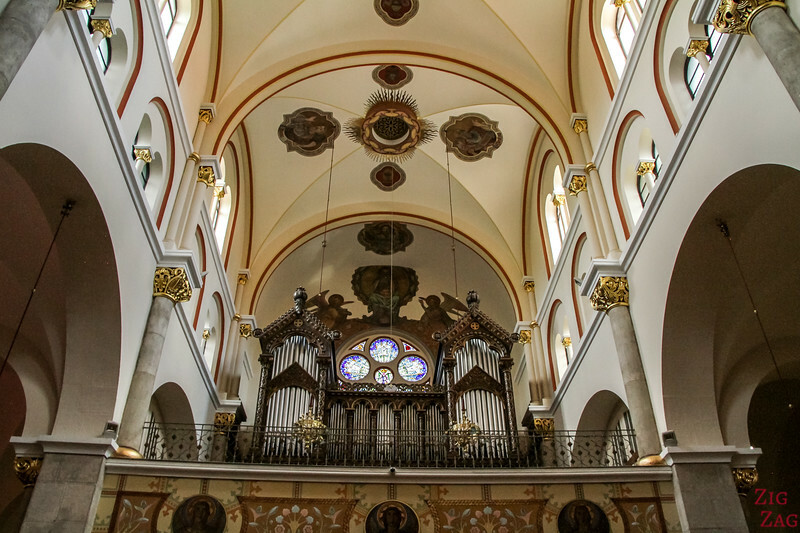 And don't forget to turn around to admire the organ. It is a beautiful piece. 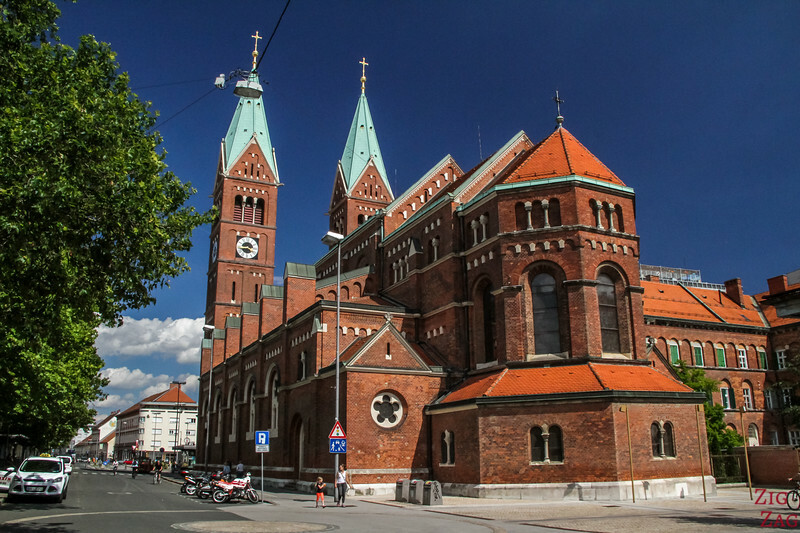 However the religious building that stands out the most in the city is the Franciscan church. With the red brick, you really can't miss it! It is the Basilica of Our Mother of Mercy. 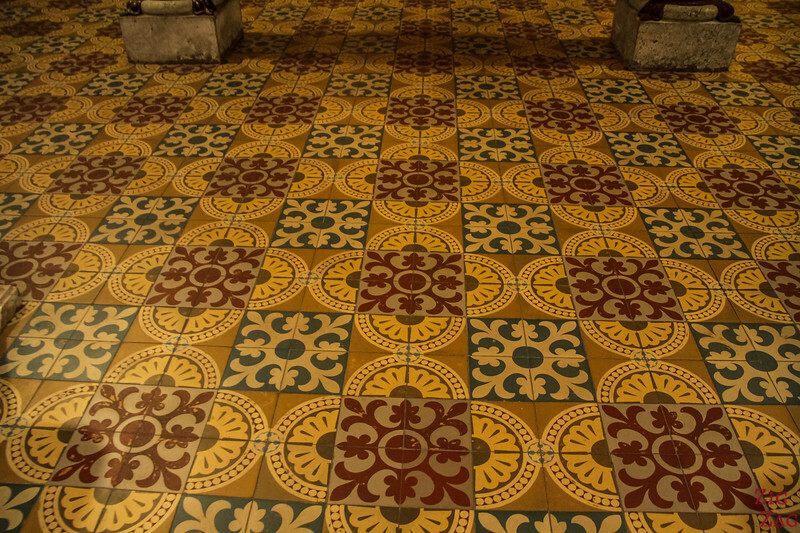 It was built between 1892 and 1900. 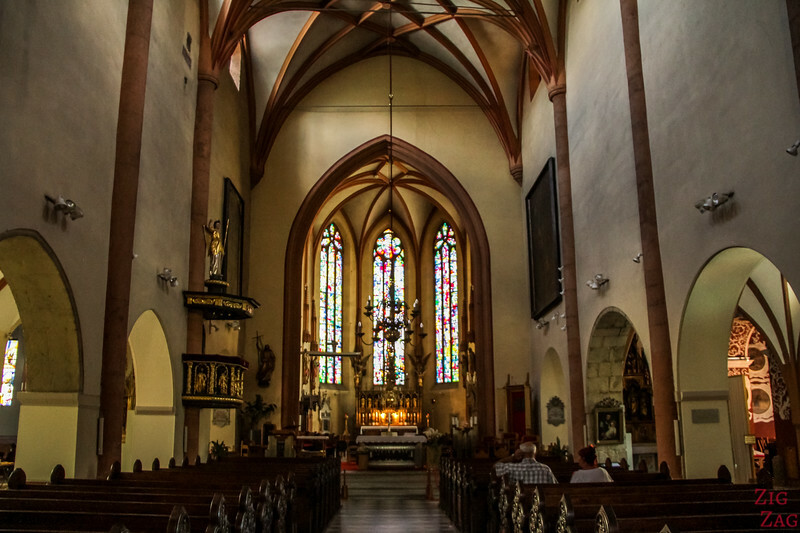 Before, the church of Our Lady used to stand there (dating back to 1613). 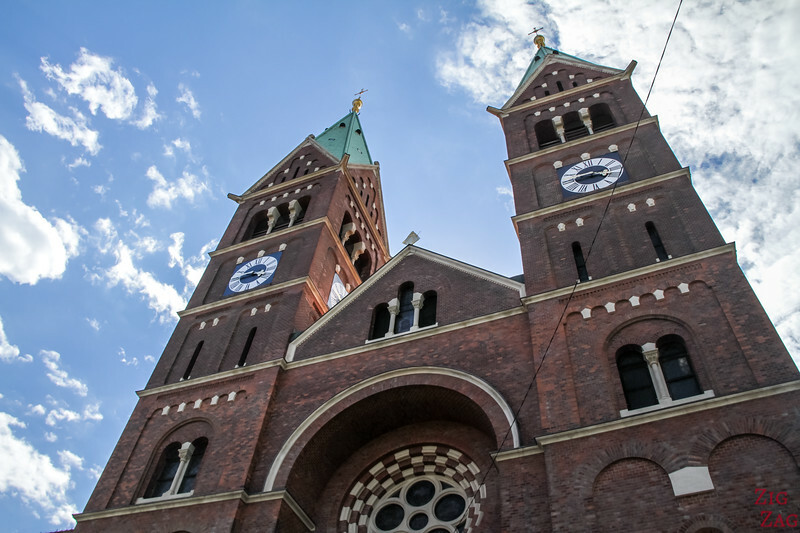 It is a magnificent neo-romanesque building with 2 towers. Inside the decor is elegant and not overwhelming. Walk down to the side of the Drava River for a vibrant scene. One of the main stops is the old vine along a house. 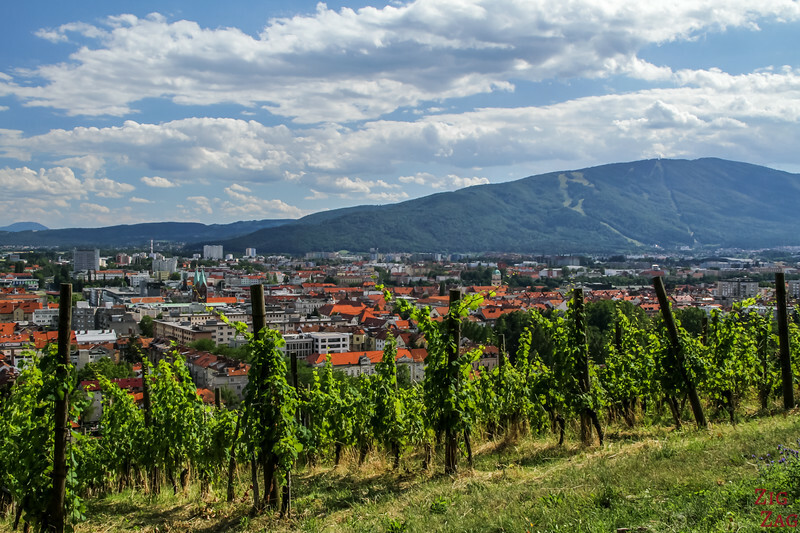 I have seen several times the claims of the oldest vines in Slovenia (with some subtle difference, some producing fruits every year for example). It is quite fun how it seems the be important to them. However Maribor has the most famous of the vine titles. 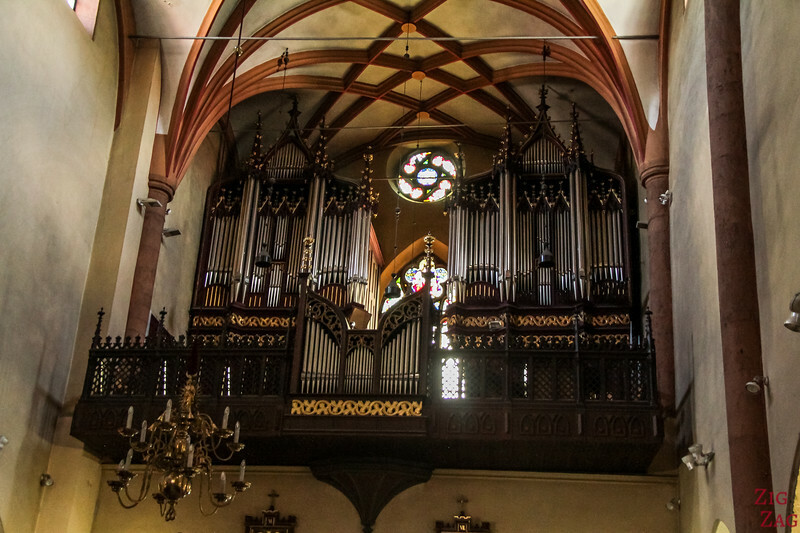 It is more than 400 years old. 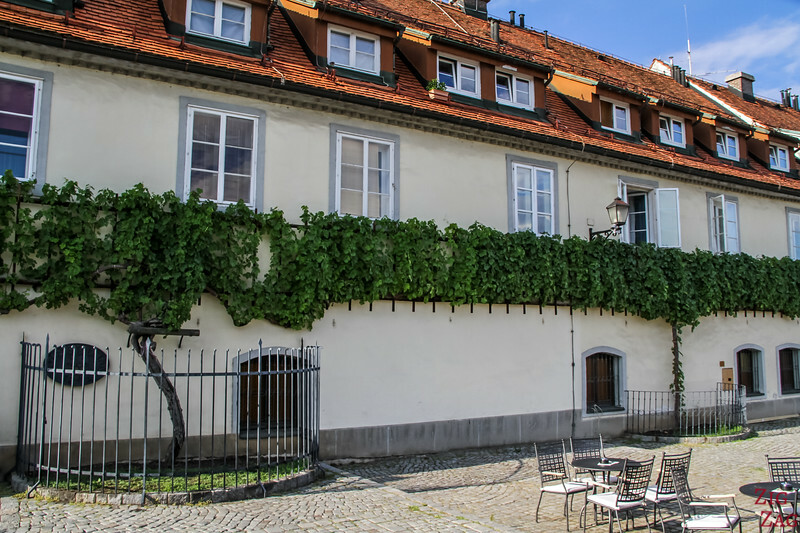 The House holding the vine has been restored and is now the Old Vine House Museum. I recommend you cross the bridge for some nice views of the old town and its orangy roofs. The Drava river is 710km long (440mi) and is a tributary to the Danube. 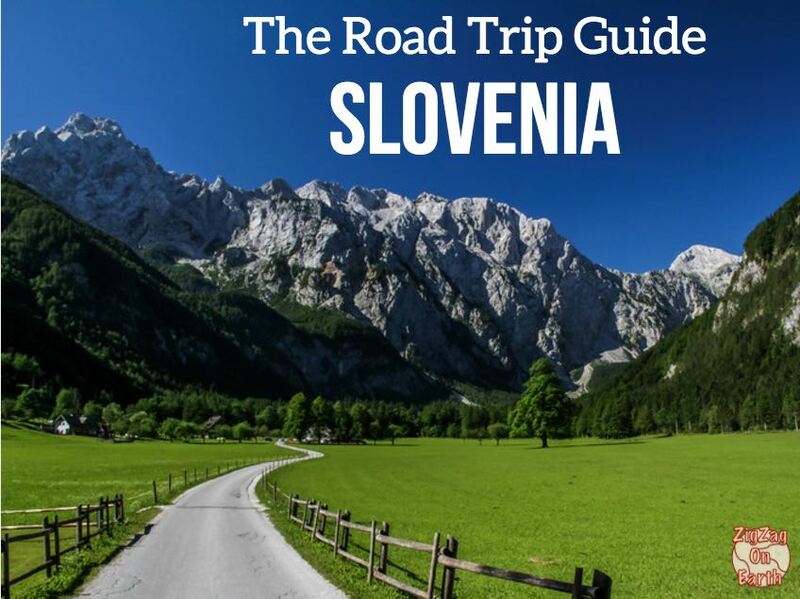 Its source is in Italy, then it flows through Austria before crossing the Styria region in Slovenia. Learn more about the Drava River here. You can walk quite a while along the river on the side of the old town. You will pass by the vine and several other historical building. One is the Water tower that you can see in the photo below. Just above the water front is one of my favorite squares in the town: Glavni trg. The series of old houses with interesting façade and orange/red rooftops is fascinating. In the middle is a baroque monument in commemoration o the 17th century Plague. Maribor is also famous for its outside nature resort at Pohorje. It is the South-easternmost part of the Central Alps, a mountain range rising to 1543m with lakes, waterfalls and primeval forest. And in Summer it is an adrenaline hot spot with hiking, biking, adrenaline park and other activities. 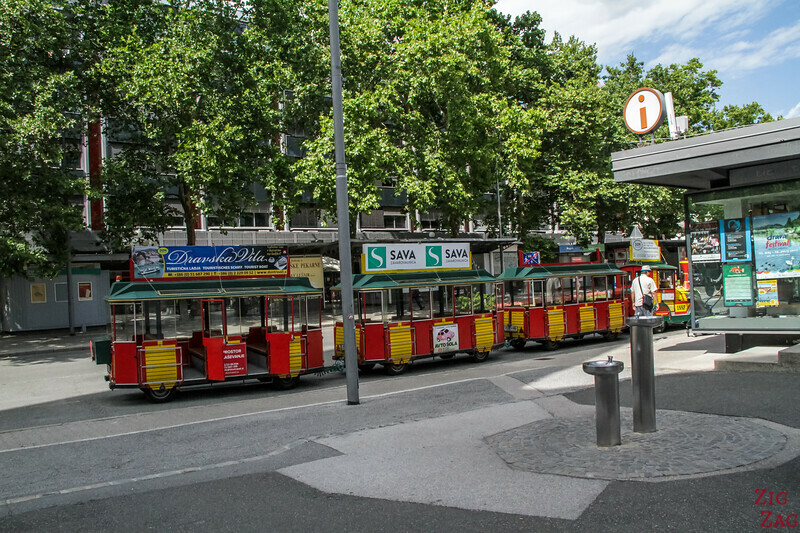 Bus 6 takes you from the center to the bottom of the Cable Car in just 10 minutes! 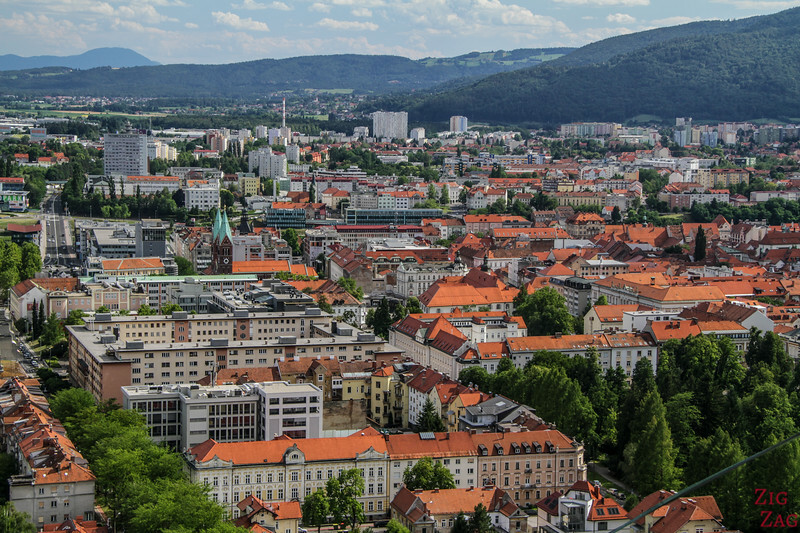 What would you like to to in Maribor?